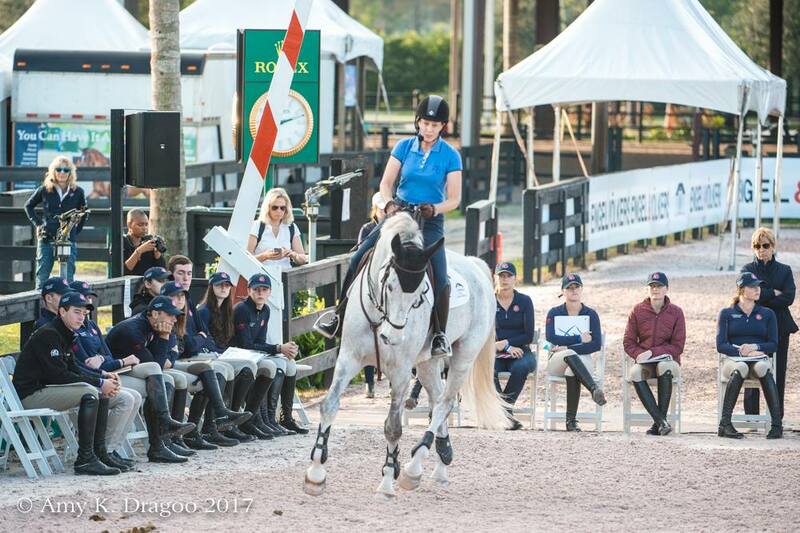 I enjoyed riding and teaching in the George Morris Horsemastership Clinic last month! I was very proud of Caspar in the demonstration. He has come a long way in less than 1 year through systematic flat work/dressage training. Riding before the kids rode was a nice change, so they had a visual of what I was looking for. All 12 students did great and took in my instruction and ideas well. I watched each rider have moments of feeling connection, straightness, self carriage, a lighter better balanced horse. This came from them sitting into the horse correctly, becoming more steady and consistent with their bodies and aids. 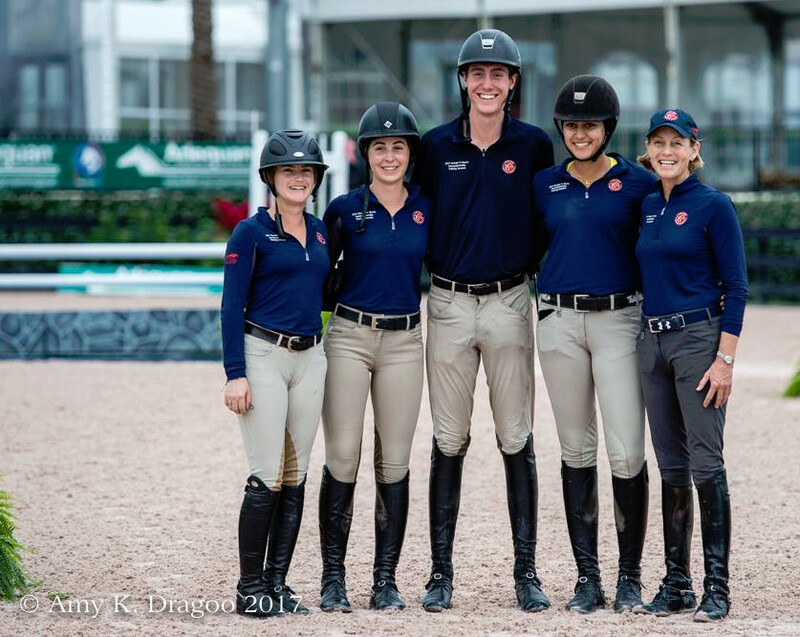 On the final day of the clinic, my team of Halie Robinson, Madison Goetzmann, TJ O'Mara and Maya Nayyar won the Nations Cup Team competition! I love coaching riders in a team format. They work together and pull for each other. The best thing was, each rider received two tickets to the FEI World Cup Finals Omaha 2017 Jumping! Thank you to the USHJA and USET Foundation for supporting this incredible clinic. 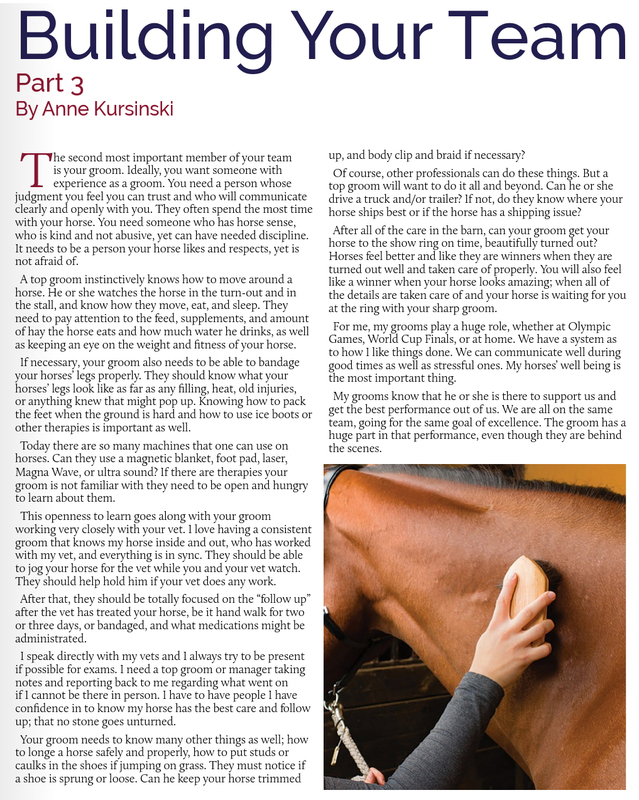 This month's article is part 3 in my series, "Building Your Team" for the Competitive Equestrian magazine. It discusses the important role of the groom on your team. Become a Riding and Jumping Mentor Member Today! Watch the latest 4 part video series of Anne lecturing while riding her Grand Prix prospect, Caspar on the flat and over fences. 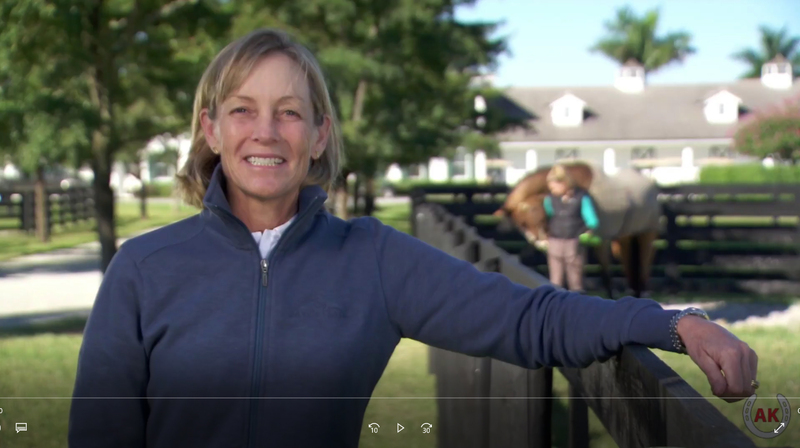 Watch Anne teaching her students the automatic release, opening rein, shoulder in and so much more! Learn a figure 8 jumping exercise that will improve your focus and improve your eye and focus. Get horsemanship tips like how to bandage a leg, plait a mane and properly fit your tack. Anne answers members questions in the Ask Anne Forum. 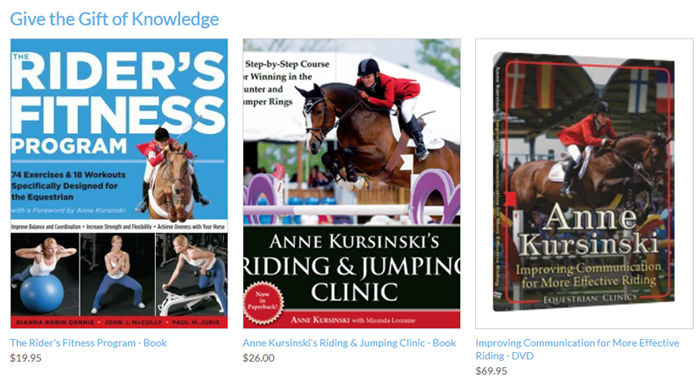 Get access to articles about flatwork for jumping, gymnastics, automatic release and more! Riding and Jumping Mentor Gift memberships are available. Copyright © 2017 Anne Kursinski, Riding and Jumping Mentor, All rights reserved.